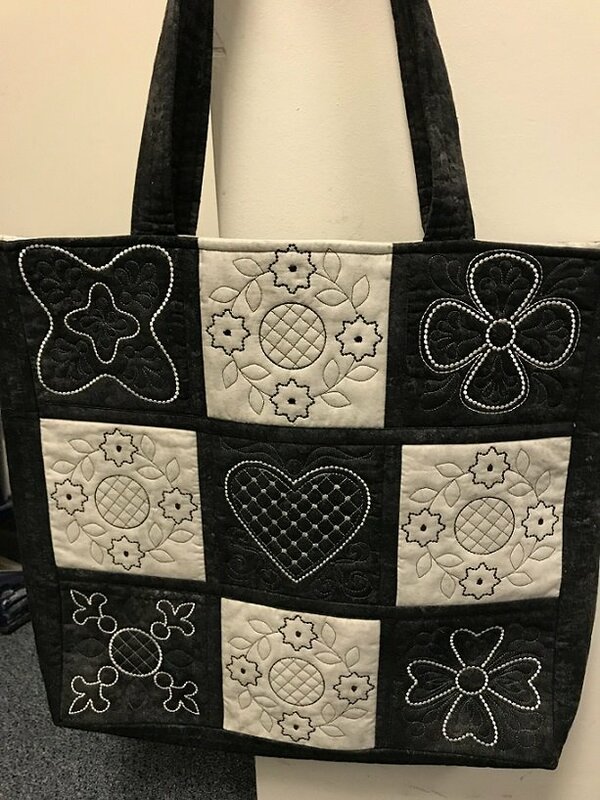 Black and white tote bag from Amelie Scott's "Build a Quilt"
"Build a Quilt" book from Amelie Scott has many projects from tote bags to pillows and quilts. These blocks are quilted in your embroidery hoop and then then pieced together. The cost of the book is $40, use your class discount and it is $32.00. Purchase fabrics required for the project listed in book. There will be two classes; one to get you started with the embroidery and in the second class, we'll put it together.